Is the process of incorporating information from both paper and digital formats causing administrative and workflow problems for you and your co-workers? Document Capture and Distribution Solutions from Canon can help employees to efficiently digitize their documents and data, share it with customers, suppliers, and co-workers, and integrate it into existing systems and workflows. 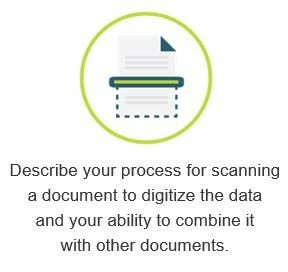 This can help minimize the amount of paper handling required to process information and can help establish customized, secure, and automated document routing. Document Capture and Distribution Solutions from Canon can support basic to advanced scan to e-mail, scan to network folders, and optical character recognition (OCR) functionality. As organizations look for enhanced security, streamlined workflow, and thirdparty application integration to support their document workflow requirements, Canon can help support these with various server, serverless, or cloud-based solutions.